The Makeup Examiner: Hourglass Cosmetics Ambient Lighting Powder Giveaway! Hourglass Cosmetics Ambient Lighting Powder Giveaway! 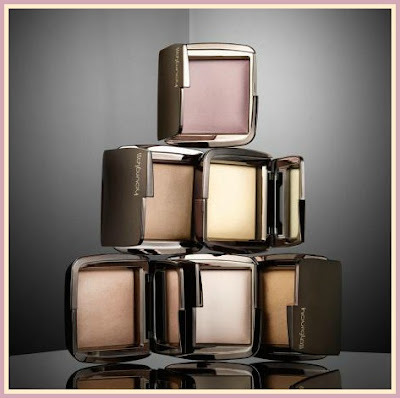 Read all about Hourglass Ambient Lighting Powders! Six (6) lucky readers will receive one (1) of Hourglass Cosmetics Ambient Lighting Powders. The finishing powders are available in six different effects, Diffused, Ethereal, Radiant, Mood, Dim and Luminous. Each valued at $45. Subject Line: Hourglass Cosmetics Ambient Lighting Powder Giveaway! Finish the sentence; “Hourglass puts the art in _____”. And don’t forget to include your name and address! The deadline to enter is Wednesday, July 31, 2013 at 11:59PM (ET). Entrants must enter using a valid email address to win. A maximum of one (1) entry per person. Contest is open to United States residents only, who have reached the age of majority according to their local laws. The winners will be the first six (6) readers to finish the “Hourglass” sentence correctly. The winners will be announced on The Makeup Examiner Facebook page within 48 hours of the giveaway deadline. This giveaway is the sole responsibility of Hourglass Cosmetics and SERMO Communications. Yay! I’m dying to have Hourglass products. I really love them but they’re way too expensive.